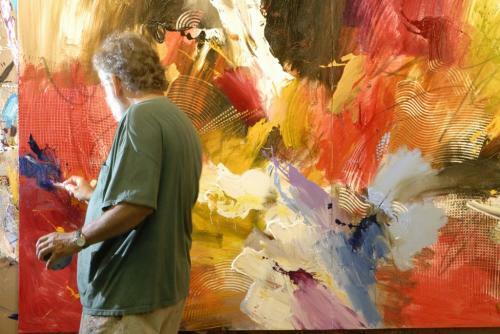 As mother nature uses her palette of fall colors to paint the mountainsides, Asheville&apos;s artistic community creates a colorful experience in town. 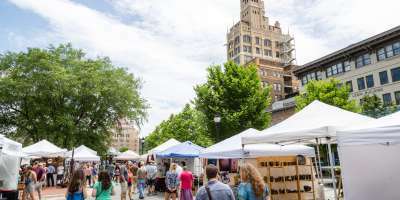 Whether you&apos;re strolling the local shops, meeting artists in their studios or taking a hands-on workshop, this weekend is a great time to see why Asheville has a reputation for a creativity. Also on tap this weekend, don&apos;t miss out on great outdoor adventure, a cultural celebration with fantastic food and a beer festival with a strong music lineup. Fall colors are coming on strong, especially at elevations of 3,500 to 5,000 feet. Check out our weekly fall color report for the best places to go to see fall color this week. The report includes 360-degree photo tours and photos taken throughout the mountains by our Instagram fans. 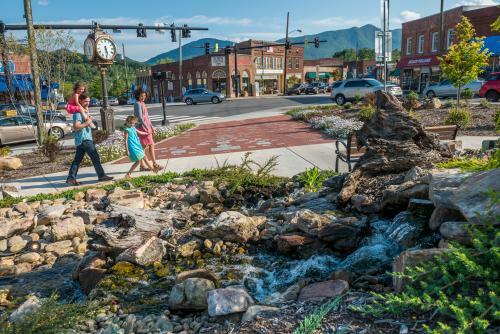 Saturday (Oct. 14), 5-8 p.m.
Browse the shops and taste wine along the way in nearby Black Mountain, recently named America’s Prettiest Small Town! 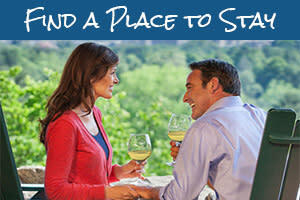 Every Saturday night in October, the Merry Wine Market on West State St. will offer a free wine tasting from 5-7 p.m. Meanwhile, thirteen shops will stay open late and offer free wine samples to shoppers from 6-8 p.m. Some shops will also provide light snacks. While in town, enjoy a delicious meal at one of the many cafes, bistros and restaurants. 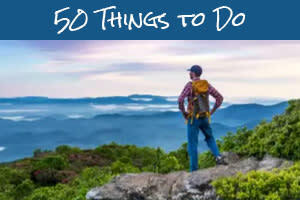 Listen to local music at White Horse Black Mountain or go for a brew at Pisgah Brewing Company. To walk off all that great food and drink, head over to Lake Tomahawk where you’ll have a perfect view of the Seven Sisters Mountain Range. Saturday (Oct. 14), 12-8 p.m. Celebrate the fall harvest season with seasonally-inspired beers from more than 20 area breweries at Burnpile. 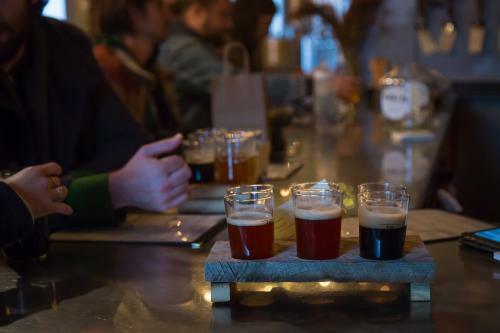 Burial Beer Co. hosts the festival in its taproom. Many of the beers available will be brewed just for this event. The festival also features a strong lineup of musical performances through the day. Saturday (Oct. 14), 12-5 p.m.
Take a stroll through the beautiful historic Montford Neighborhood and meet the artists, designers and craftspersons who call this area home. Montford is known for its stately homes and bed & breakfasts. The artists of this neighborhood will open their studios to give you a window inside the creative process. The Artwalk is free. Maps are available on the Artwalk Facebook page. You can also pick up a map from the Montford Recreation Center (34 Pearson Dr.) or at the Asheville Visitor Center (36 Montford Ave.). Sunday (Oct. 15), 1-5 p.m.
Musical, dance and interactive art performances take the place of cars on Wall Street this Sunday! Wall Street, in downtown Asheville, is known for it beautiful architecture and great shops and restaurants. Take this Walkable Wall Street opportunity to stroll the street, which will be closed to cars for the celebration. Some of Asheville&apos;s best street performers will be there to share their skills and entertain! Pair the Montford Artwalk with an American Craft Week Experience. American Craft Week is a 9-day celebration with numerous events designed to help you discover the wonders of American Craft. 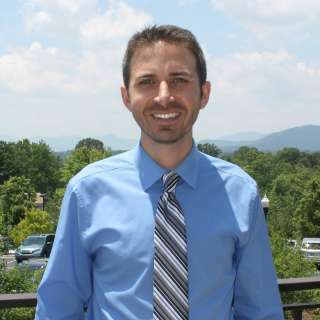 Among the events planned is Asheville’s Art in the Park in downtown’s Pack Square Park. There you’ll find some of the area’s finest handcrafted art including worked by skilled artists creating wares of glass, ceramics, wood, jewelry and metal. Art in the Park will also take place the following Saturday (Oct. 21). 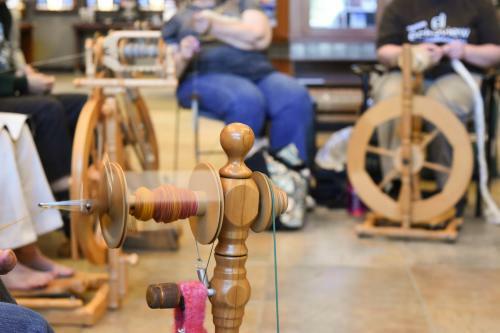 Throughout American Craft Week, there will be also be craft demonstrations including one by fiber artist Susan Lenz at Grovewood Gallery on Oct. 14 (11 a.m. to 4 p.m.). Catch exhibitions by The Center for Craft, Creativity & Design (CCCD), The Village Potters, Blue Spiral Gallery and Asheville Area Arts Council. And, get hands on with workshops and classes at Local Cloth and NC Glass Center. For a full list of events, click HERE to see the American Craft Week calendar. 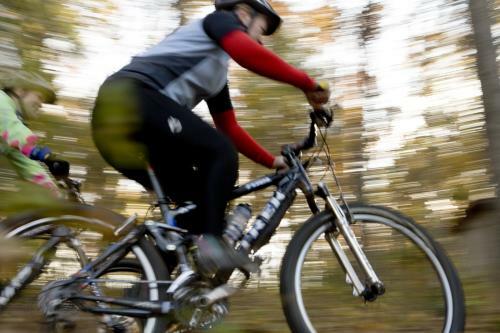 Three full demo days, shuttles to beautiful DuPont State Forest with the Bike Farm, Oskar Blues beer and food and top notch live music are what’s on tap at the Pisgah Mountain Bike Festival. The festival home base is the scenic Oskar Blues REEB Ranch right outside of the town of Brevard. Come discover why Bike Magazine proclaimed this area America’s best kept secret with some of the best riding this side of the Rockies. Bike enthusiasts will also have the opportunity to see the latest and greatest from the industry’s leading brands. 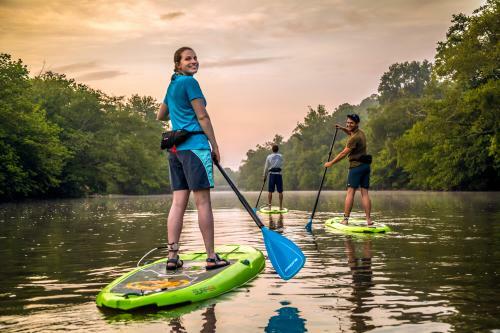 Outdoor adventure is awaits you just minutes away from downtown Asheville on the French Broad River where Wai Mauna SUP Tours leads fall foliage floats on the river. Take your experience to the next level by combining the paddle through the colorful trees with the radiant colors of sunrise! Fall foliage SUP tours run through October 31. 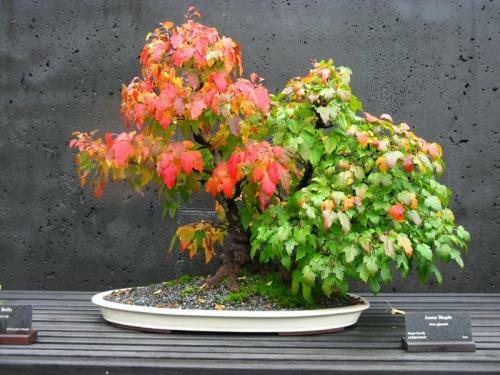 Saturday (Oct. 14), 9 a.m. - 5 p.m.
Bonsai enthusiasts from across the eastern United States come together at the North Carolina Arboretum for the nationally-known Carolina Bonsai Expo. You’ll have the opportunity to purchase live bonsai plants and supplies at the Expo’s marketplace. Don’t miss the chance to participate in bonsai workshops and watch the free demonstrations. In its 22nd year, the Carolina Bonsai Expo is the premier annual bonsai event in the southeast and is the most-anticipated plant show the Arboretum hosts each year. Sunday (Oct. 15), 11 a.m. - 4 p.m.
Join in the celebration of traditional Jewish food, Israeli dancing and crafts at the HardLox Jewish Festival. Now in its 15th year, the festival pairs great entertainment with education on the Jewish heritage and culture. The Festival is also hosting its biggest raffle ever with 10 incredible prizes valued at a total of $10,000! Raffle tickets are $5.00 each. There is no admission fee to enjoy the festival.